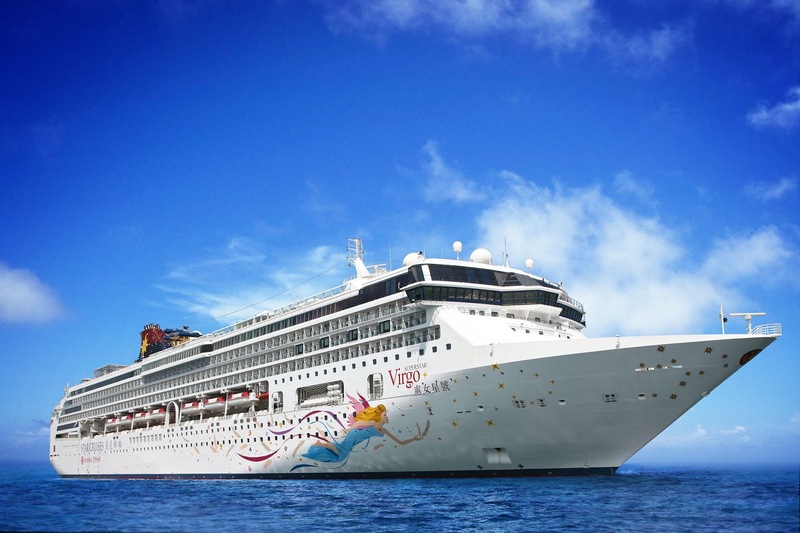 For the first time, Manila will become a home port of a cruise ship - The Star Cruises' Superstar Virgo that will sail from Manila and take its guest to Laoag City in Ilocos Norte, Taiwan, and Hong Kong. This is not just a good news for Filipinos who want to experience hassle-free, visa-visa free cruising from its doorstep but also for those who are looking job opportunity to work on the cruise ship. According to Star Cruises president Ang Moo Lim, Star Cruises was the first major cruise line to recruit Filipinos 23 years ago for their cruise ship. He said, they are pleased to be the first international cruise line to make Manila their home port. 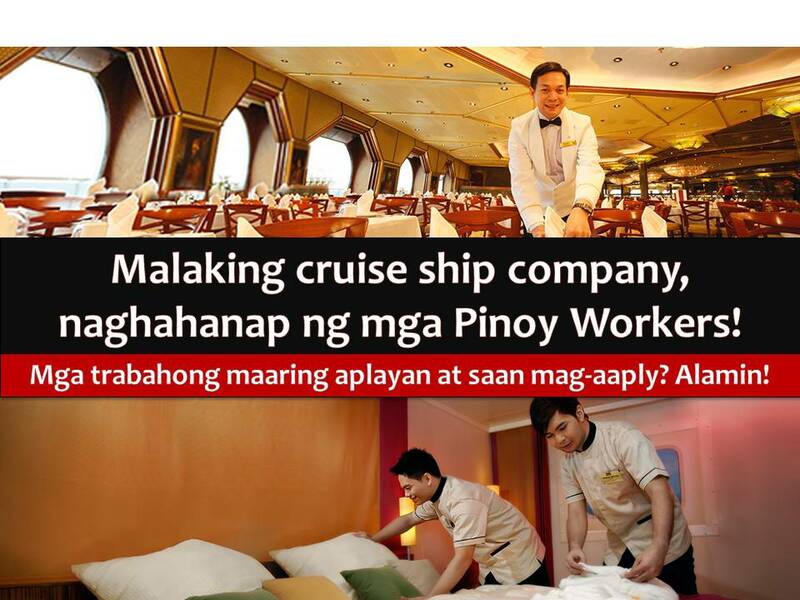 On the other hand, there are many jobs available for Filipinos in and outside of the ship. According to SeamanJobsite, there are 6, 704 job vacancies for seafarers. 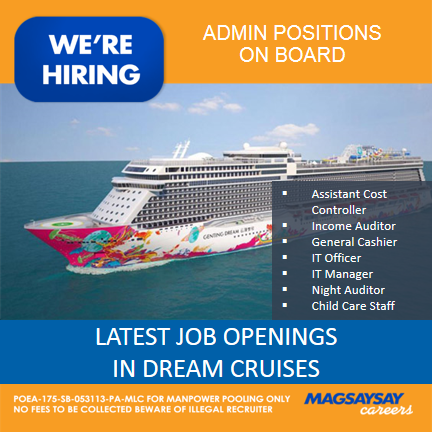 In-demand jobs include; Ship Captain, Engineer, Electrician, Plumber, Chef, Laundry Staff, Bar Waiter, Cabin Steward and much more. The expected salary every month is $400 – $8,000. 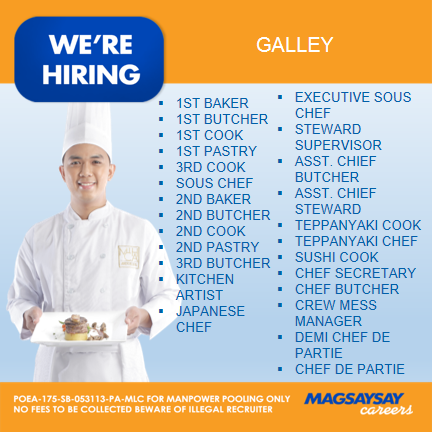 For those who wants to apply register in their website www.magsaysaycareers.com, where you can also see the complete list of available jobs.